"What is Wine and Wine Varietals?" 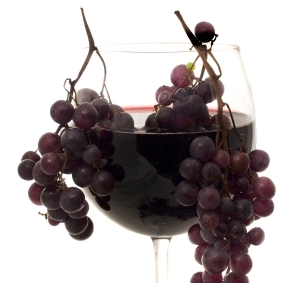 Wine is the natural product of grapes, or other fruits, and broken down into varietals. It is the process by which the yeast, which forms naturally on the skins of the grapes, and oxygen convert the natural sugars of the juice into alcohol and carbon dioxide bubbles away, what remains is WINE! If you leave carbon dioxide in then you have Champagne. Selling the grape requires you to have the knowledge of the product and be able to communicate to your guests in an unpretentious fashion. It is imperative you know the grape varietals. Wine varietals have there different styles varying from country to country and winemaker to winemaker. The varietals themselves will be true to their specific characteristics. These styles can be varied from winery to winery, according to the winemakers style, but they all will hold true to the varietals. Learning all wines will be difficult at best, but one can understand the certain varietals and be able to comprehend how the wine will taste. There are thousands of wines out in the market, and they change yearly, not to mention more wineries start up yearly. Use the following information as a guide, and you will start to understand how wines can be similar.